Elliott is a native of eastern Kentucky and his heritage is from the famous Hatfield-McCoy Feud. He grew up in a musical family and his early influences included his grandparents. At the age of fourteen his family moved to Ohio, and as a teenager Elliott gave his life to Christ. His exploits in gospel music cover more than 38 years of exciting experiences in the ministry of Christian music. He was featured in a 1976 article in National Geographic for singing in front of over 40,000 people at an outdoor concert in West Virginia. Elliott has sang with such groups as: The Laymen Quartet (Columbus, Ohio), the Premiers Quartet (Cincinnati, Ohio), and Southern Tradition (Nashville, Tennessee). The Premiers Quartet traveled with Dr. John Rawlings of the Landmark Baptist Temple, performed at large crusades, and worked TV shows with nationally known minister Rex Humbard. While being a member of Three Bridges Elliott has had the honor of working with Edwin and Walter Hawkins the arrangers of the famous “Oh Happy Day” song. They performed together along with a host of other of world renowned artist, on an international video for the United Nations. Elliott has been a part of the Bill Gaither Homecoming video series being featured with Three Bridges on the video “Homecoming Picnic”. 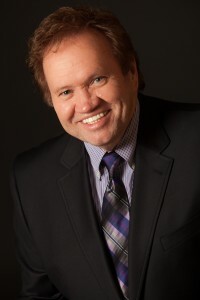 Elliott has performed in concert with many of today’s great gospel singers and groups including, Bill Gaither and the Gaither Vocal Band, Michael W. Smith, Mercy Me, and Donnie McClurkin. He has recorded over 30 albums and was a regular performer for many years on the world famous radio program WWVA Jamboree in Wheeling, West Virginia. Elliott’s experiences at the Jamboree allowed him to perform with country legends such as Conway Twitty, Tom T. Hall, and Charlie Pride. Residing in Hendersonville, Tennessee with his wife and lifelong sweetheart Terri, Elliott has been blessed to have six children: Five sons, Brian, Ty, Matthew, Aaron, Mark and his only daughter Amanda. God has used the last 40+ years of consistent ministry to prepare Elliott for the most important part of his career. Being part of Three Bridges gives Elliott an opportunity to share the Gospel of Christ with others. Beyond his professionalism, Elliott is a true Christian and an effective asset to gospel music, a true gentleman whom you will want to meet! Life Thought: A person is as happy as they choose to be!